Do you have 20/10 vision? Would you like to have 20/10 vision? This may not be possible. You may have perfect vision. On the other hand, you may be nearsighted. You could also be farsighted. We will explore what this means and how it could affect your life in this handy guide. Your eyes are the most important sensory organ you have. That’s because 80% of all your input is visual. Every person understands how important eye health is for this reason. You only get two eyes if you are born healthy. Those eyes must last you for life. So, what is 20/10 vision? If you have 20/10 vision, then you are in pretty good shape. We will explain how this works. The numbers define a standard for comparing human vision. The benchmark for human eyesight is 20/20 vision, in fact (not 20/10 vision, the subject of this article). The first number refers to the distance from a standardized eye chart in feet. The second number refers to how close you would need to be (again, in feet) to see what a person with “perfect” vision can see when standing 20 feet from the chart. Your vision is better than “perfect” if the second number is lower, but your vision is worse than “perfect” if the second number is higher. 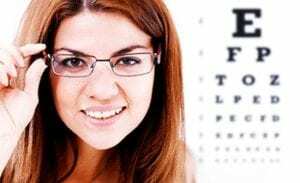 In other words, if you have 20/10 vision, you can stand 20 feet from an eye chart and see as much as someone with “perfect 20/20 vision” can see while standing just 10 feet away. By contrast, if you have 20/50 vision, it means that if you are 20 feet from the eye chart, you can see only what someone with 20/20 vision could see while standing 50 feet from the chart. Many people don’t understand what it means to be legally blind. We can determine legal “blindness” based on the 20/20 formula. There are standards in the United States and elsewhere that label a person as legally blind if the second number is too high. This doesn’t mean they can’t see anything, however. We often think of blindness as living in darkness. We picture not being unable to see anything. Sometimes we think of people using canes to navigate. 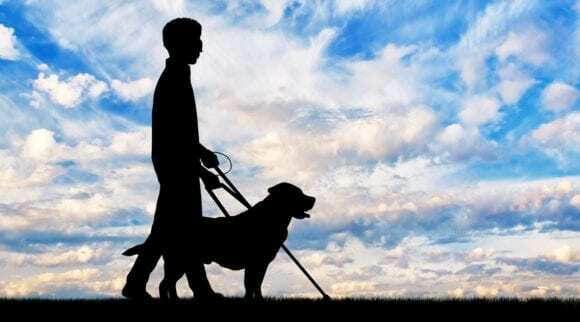 There are even blind people who use a form of echolocation. Legal blindness, however, is not the same thing. 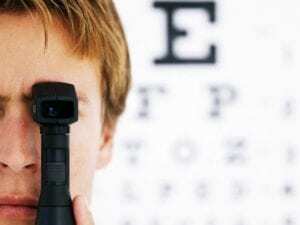 It simply means that you are unable to see any better than the 20/200 line on the eye chart when best corrected. If you can see at 20 feet what someone with 20/20 vision sees 200 feet away, you might be considered legally blind. It doesn’t mean you have no vision, though. It just means you can’t at a distance (and, for some people, up close as well). You may think 20/20 is a universal standard. This could be true if you have spent your whole life in the United States. We use the English standard of measurement here in the States. Other countries use the metric system, however. A foot is about three tenths of a meter. That means a yard, or three feet, is about one meter. Under the metric system, the 20/20 standard becomes 6/6. The “6” refers to meters (which is close enough to 20 feet to form a standard for visual acuity). When the first number in the 20/20 formula is 20, then we are dealing with English measurements. 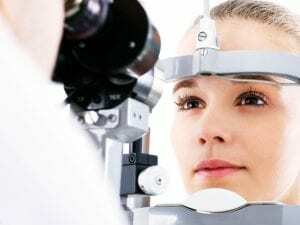 Does it matter how we measure visual acuity? If you have 20/10 vision, you probably don’t think so. Then again, you may not care if you have 20/200 vision, either. Your eyesight is what matters. Can you see what you need to see? Is it possible for you to get around? Can you enjoy all the tremendous sights and sounds that the world has to offer? Most importantly, can you enjoy your life without feeling discomfort? People who need glasses but don’t use them, for example, can suffer headaches and fatigue. This is caused by squinting and straining. Eye strain can strike anyone, too. Repeated eye strain may even reduce your visual acuity. Can You Get To 20/10 Vision Medically? There are many different ways to treat eye problems. These include drugs, corrective surgery, and a variety of other medical means. There is also preventive care available. We are fortunate to live in an era where so much advanced care is available for our precious eyesight. We need this care. Without it, we could have reduced vision. Worse, we could end up totally blind in soem cases. That’s not something you want to experience if you can avoid it. The truth is, though, that many people deal with blindness or “low vision” every day. Eye problems are common. Many of these, however, are treatable. You might be born nearsighted or farsighted. 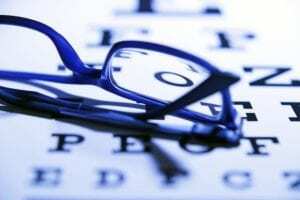 A person can also become nearsighted or farsighted over time. There are also diseases of the eye that may affect vision. Some are chronic (meaning they just happen or are genetic) and some are communicable (meaning you can catch them). If you catch something that affects your vision, then you can probably treat it effectively. 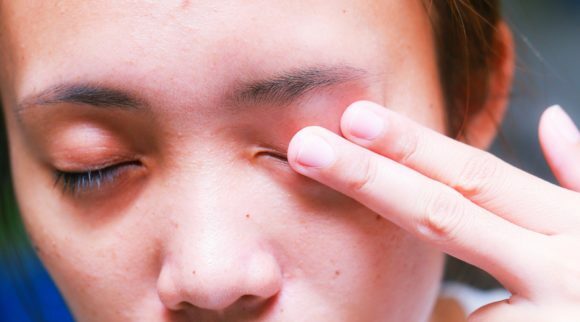 Pink eye, for example, can cause you to wake up with your eye (or eyes) sealed shut. It is painful but does not permanently affect vision after treatment. Herpes of the eye, however, might damage your eye and/or vision if you contract it. There are also issues like macular degeneration, in which eyesight fades over time and for which there is no cure. Physical injury can also affect eyesight. This includes impact trauma. You don’t have to be hit in the eye to experience eye damage, however. Boxers are vulnerable to retinal detachment. Everyone else is potentially vulnerable too. If you are hit in the head hard enough, then a piece of your retina could detach. Laser surgery can reattach the retina in some, but not all, cases. For this reason, it is best to avoid repeated head trauma and take care when playing ball sports. Extremely nearsighted people (who have far worse than 20/10 vision) are more vulnerable to retinal detachment. This is because their eyes are physically elongated. This is what makes them nearsighted. It also makes their retinas thinner than someone with 20/10 vision. 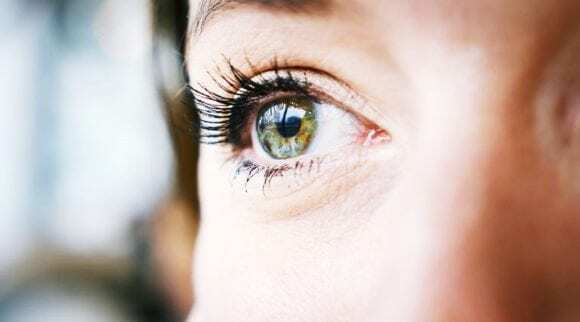 Thinner retinas may detach more easily. Everyone knows someone who wears glasses. Most of us have them, in fact. Three out of every four adults wear glasses or contacts. They are the easiest way to fix imperfect vision. Firstly, they are relatively easy to get used to. All you have to do is put them on your face and have them adjusted to fit you. Secondly, they are easy to take off when you are getting ready to sleep. Thirdly, they can be tailored to even complex and irregular prescriptions. This means that if you have astigmatism or other issues that require complex lenses, the solution is easy to execute. Many people, even those who feel blind without corrective lenses, can see normally with glasses. Glasses have probably helped prevent widespread issues, due to nearsightedness, that plagued earlier centuries. Some people don’t like glasses or don’t prefer them. Those people may wear contact lenses instead. There have been incredible advances in contact lenses over the years. For example, the first contact lenses were hard plastic. They were durable, but often uncomfortable. Then came soft contact lenses, such as those made of silicone. They are much more comfortable. Contact lenses can be difficult to clean, though. If you aren’t luck enough to have 20/10 vision, then you might have to endure the hassle of constantly cleaning and removing contact lenses. Wearing contact lenses for too long can be uncomfortable. It can even have harmful effects on your eyes. Over-wearing contact lenses can encourage corneal ulcers and infections. 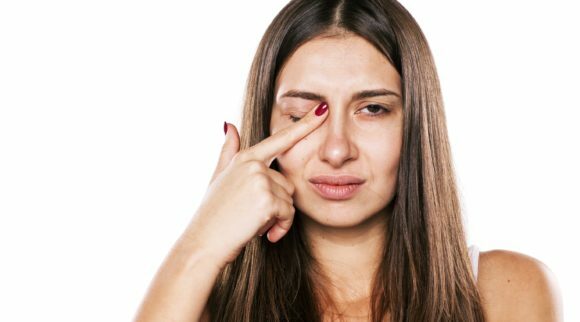 If your eyes dry out because you slept with your contacts in, then you might even hurt your eye trying to take out the contact lens. Stated another way, contact lenses can be both a blessing and a curse. They free up the wearer from having to wear glasses. Contact lenses, however, involve a lot more effort and maintenance. 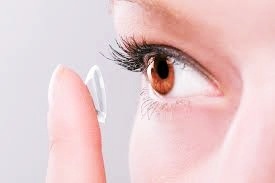 Disposable contact lenses help reduce some of the hassle. These should not be worn for longer than recommended, though. Many people don’t wear sunglasses when they are outside. You might think you don’t need sunglasses on overcast days. Perhaps you find sunglasses uncomfortable. You might also have a tendency to lose them. There are many reasons you might not wear sunglasses. You should be wearing them, though. The fact is that sunglasses can help protect your vision from the harmful rays of the sun. The sun produces ultraviolet radiation all the time. This is true even on overcast days. If you are outside, you should wear sunglasses to protect your vision. It is very important to screen out ultraviolet rays, and make sure you choose polarized and 100% UV protected sunglasses. You need to watch out for cheap sunglasses, however. There are some sunglasses that don’t actually filter UV radiation. They are just dark. These may make you feel more comfortable, but they are actually doing more damage than not wearing sunglasses. They cause your pupils to open wider, letting in more invisible UV radiation. It is very important to buy sunglasses that offer proper protection from UV rays. Only these can protect your vision from the effects of the sun. Your eyesight is too valuable not to protect. It doesn’t take much money to buy sunglasses with UV protection. Check out those from Eye Love here. Surgery to Achieve 20/10 Vision? You might be a candidate for surgery to improve your vision. There are a few things to remember about vision surgery. Firstly, there is the possibility that things could go wrong. Some people who get eye surgery report chronic dry eye or blurry vision. This can force them to use eye drops and other dry eye treatments for a lifetime. Sometimes the side effects are bearable. Other times, the side effects make patients regret getting the surgery. While corrective eye surgery has become common, it is not something that should be undertaken lightly. Keep in mind that technology changes. If you think you might want eye surgery, it could be better to wait. If more time passes, then a new solution for achieving 20/10 vision (or at least better vision) might come along. At one time, the industry standard was radial keratotomy. 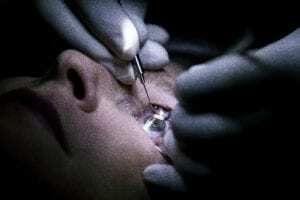 This is a procedure in which the cornea of the eye is cut. It is not always radial (meaning the cuts radiate out from the center), but that is most common. The procedure is now an old one. It was developed by Russian ophthalmologist Svyatoslav Fyodorov almost half a century ago. Today, photorefractive keratectomy (PRK) and LASIK are much more common. 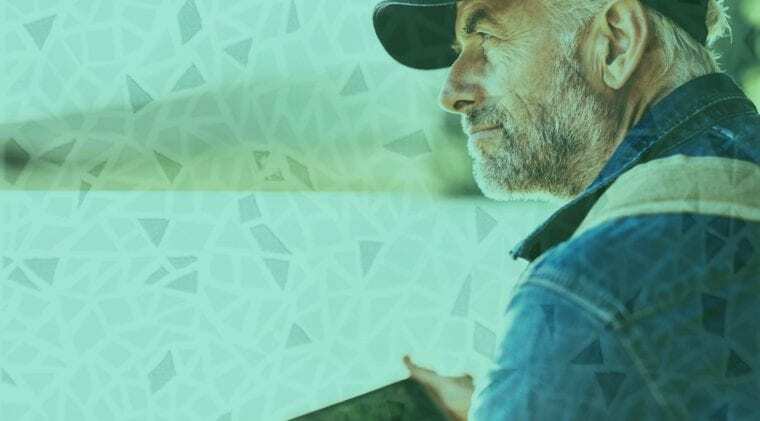 Imagine if you had gotten radial keratotomy a few years before laser surgery became common. LASIK is a lot less invasive than having cuts made in your cornea to refract light. There is something else you should consider, too. When you get eye surgery, your eyesight may continue to change. You might find that you only have “perfect” vision (or even better, 20/10 vision) for a few years before you need corrective lenses again. You may not be a candidate for surgery a second time, either. Then again, you might not be eager to go “under the knife” … or “under the laser” … any time soon. Think of eye surgery as a one-time shot. Make the decision carefully. Weigh all the available options! Could you achieve 20/10 vision on your own? Are there natural cures or even exercises for “working out” your eyes? There is a funny routine done by one comedian (or more than one) about poking yourself in the eyes to strengthen them. Don’t do that! There may be eye exercises you can do, however, that might strengthen the muscles of your eyes. 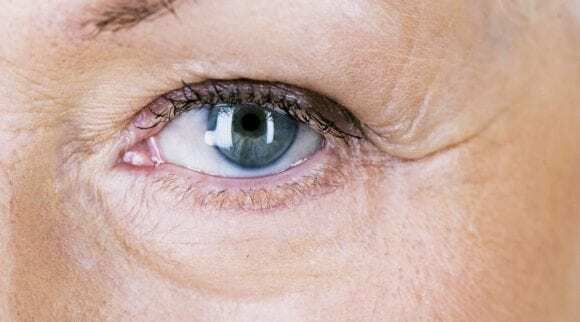 Opinions vary on whether natural eye exercises actually work. Be careful not to get scammed. There are plenty of people out there who will gladly take your money to sell you a “snake oil” cure for 20/10 vision. That’s not actually how things work. 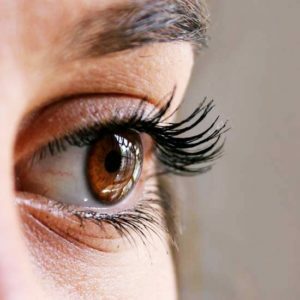 It may be possible, however, to boost your vision using some simple exercises. You will have to judge the results for yourself. Some of the exercises may even seem silly. You should give them a try nonetheless if you feel like it might be worthwhile. Blink Your Way to 20/10 Vision? The first exercise is blinking. First of all, make sure that you’re not under any stress or strain. Find a chair to sit in that doesn’t put undue strain on your body. You want to be nice and relaxed. Don’t worry about focusing on anything in particular. Just focus on blinking. Blink quickly again and again maybe a dozen or two dozen times. You don’t have to keep exact count. A burst of blinking will do the job. In between bursts, close your eyes. Feel your face relax. Let everything go slack. Stay that way for 15 to 30 seconds. Then do another burst. Don’t do more than half a dozen bursts in one session. If that feels like too much, do fewer bursts. Blinking is simple. It’s an exercise that anybody can do. Do you think you’re up to the challenge? If you could blink your way to 20/10 vision, would you try? There are no guarantees, obviously. The blinking exercise might not do anything. Then again, it just might. There’s no way to know until you try. Roll Your Eyes for 20/10 Vision? Rolling your eyes has become a symbol of disbelief or irritation. Everyone can relate to the urge to roll their eyes. Did you know, though, that you can roll your eyes to exercise them? There’s no guarantee that you can roll your eyes to better eyesight, but it could be worth a try. You’re not rolling them the way you would if you were being sarcastic, though. To do this exercise, you want to focus on making circles. Sit comfortably and pick a starting direction. Push your eyes up, or over, or down. Now work them slowly around in a circle. It should look like your eyes are making circles inside your head to anybody watching. This may be a little uncomfortable at first, so don’t overdo it. Just make a circle. Don’t go too fast. You want to go slowly so you get the full benefit of the exercise. After you’ve done a dozen circles in one direction, do another dozen circles in the opposite direction. Don’t do more than that in one session. A total of two dozen circles is more than enough for one sitting. You can do less, too. Break it up into half a dozen for each direction if you want to. Side-Eye Your Way to 20/10 Vision? Have you ever given anyone the side-eye? Have you had it given to you? Side-eye is when you move your eyes in one direction, say, to the left, and look out of the side of your vision. You can side-eye to the left or you can side-eye to the right. Practice shifting your eyeballs from the left to the right. Choose the upper and lower corners of your vision on either side. You may wonder why you want to bother doing this. The fact is, you are working out the eyes themselves. This means you’re working on physical movement, not on taking light into your eyes. The results might surprise you. Then again, they might not. Everybody is different. This figure eight exercise is mentioned in many lists of eye exercises. There are lots of ways to do it. You basically want to rotate your eyes around in a figure eight pattern from the top of your ‘area of vision’ to the bottom. This might be very difficult to do if you just try to move your eyes that way. You can “cheat,” therefore, by following your hand, your finger, your thumb, or whatever else. Use your finger to draw a figure eight in the air in front of you. Go from the top to the bottom, or from the bottom to the top. Make sure you don’t go outside your field of vision, of course. While you’re doing this exercise, try not to move your head. You want to be exercising your eyes, after all. Moving your neck doesn’t help you. Focus Your Way to 20/10 Vision? There are many other things you can do for your eye health. Will any of them help you achieve 20/10 vision? They probably won’t, but they can promote good eye health. It’s important to preserve the vision that you have no matter what it is. Take good care of your eyes and you are taking good care of your eyesight. They are the only two eyes you will ever get. Firstly, avoid eye strain. Eye strain happens whenever your eyes get “tired.” If you spend too much time reading, too much time watching television, or too much time playing video games, you could strain your eyes. Even driving can result in eye strain if you do it for too long. Beware of anything that requires you to pay close visual attention over time. These activities reduce your “blink rate.” Reducing your blink rate causes your eyes to dry out. Dry eyes are more susceptible to eye strain than moist eyes. One way to compensate for dry eyes is to use an artificial tears product. These are droppers of liquid that soothe and moisturize the eyes. They are available as liquid or even as gels (although the gels are intended for use at night). In addition, make sure you’re cleansing your eyelids every single day, twice per day. We recommend using the Heyedrate Lid and Lash Cleanser, because it is super gentle and keeps your skin nice and free of bacteria and other debris. Be especially careful about video games. The focus and attention required for video games helps develop hand-eye coordination. It also causes your eyes to dry out, however. Be cautious about that. Never play video games for too long at one sitting. Take the time to get up, moisturize your eyes, and relax your vision. It’s a good idea to plan breaks into any activity that involves visual focus. You should also purchase a pair of blue light blocking glasses, like those from Eye Love, to wear while playing video games. These will decrease eyestrain and even help you sleep better! Smoking is another thing to consider. Smoke from cigarettes and cigars is bad for your eyesight. If at all possible, consider quitting. Avoid smoke-filled rooms and other environments where lots of cigarette and cigar smoke is present. It’s okay to enjoy a cigar on occasion if that’s your thing. Moderation, as always, is the key. Be aware that the smoke from these activities is harmful to eyesight in much the same way that ultraviolet radiation can be. Another thing you can do to take care of your eyesight is to get enough rest and keep your eyes nice and clean. Use a warm washcloth or commercial wipes to clean your eyes. Get plenty of rest, too. Sleep makes a huge difference. You know how your eyes feel strained and tired until you get some sleep? Often, they’re better by morning. That’s because sleep is critical for resting your eyes. Your eyes will always feel better after a good night’s sleep. Don’t scrimp on your sleep time. Maintaining your sleep schedule will help in countless other ways, too. Yet another thing you can do to promote eye health is to take eye vitamins. There are vitamins on the market specifically intended to promote eye health. They have certain ingredients in them, like lutein and other antioxidants, that are good for your eyes. If you are not currently taking an eye health vitamin, considering adding one to your diet. It may help your eyes to stay healthier. 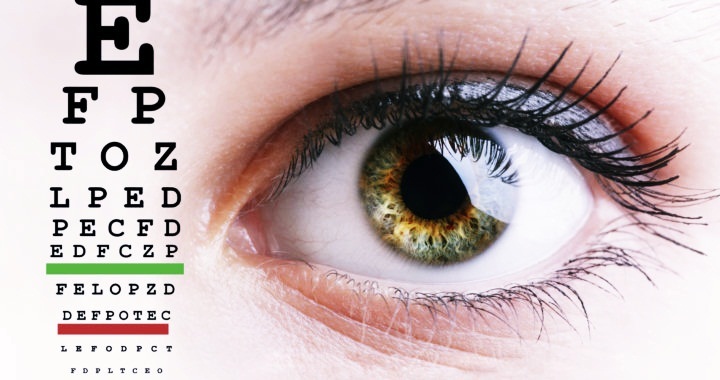 Check out the Heyedrate Lutein and Zeaxanthin here. Your eyes are the windows to your soul. They’re also your most important sensory organ. They must last your entire life, so don’t abuse them. Take good care of them so that they can take good care of you. Whether you were born with 20/10 vision or something much, much worse, you can have a happy and productive life. Your eyes will help you to see… everything. Nothing is more important than safeguarding your precious vision.